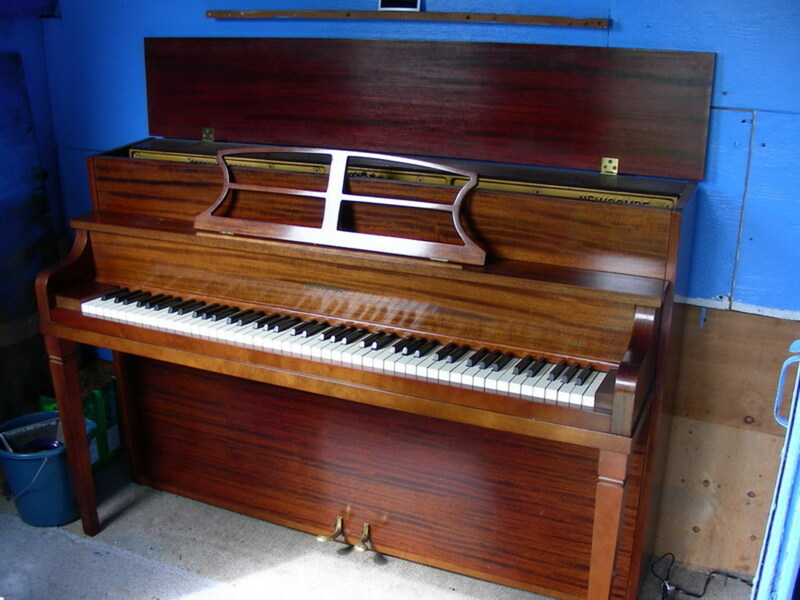 This article will show you how to open an upright/studio/vertical piano, to give access to the hammer action mechanism, keys and the strings for repair/maintanence purposes. The covers of an upright/studio piano. Compare with the previous image. 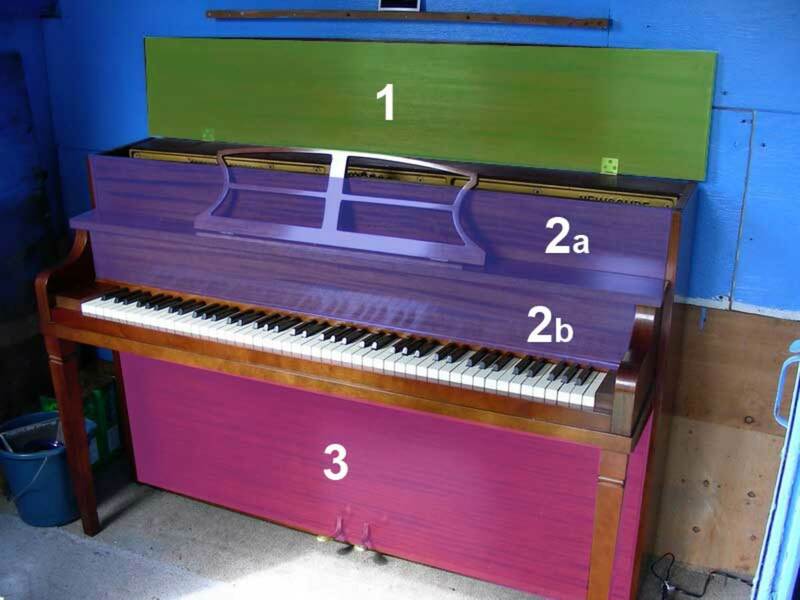 In the above picture, No.1 is the top cover which can be kept open during playing, so to increase the sound of the piano by letting the sound escape. No.2 is the front cover that hides the hammer action mechanism. 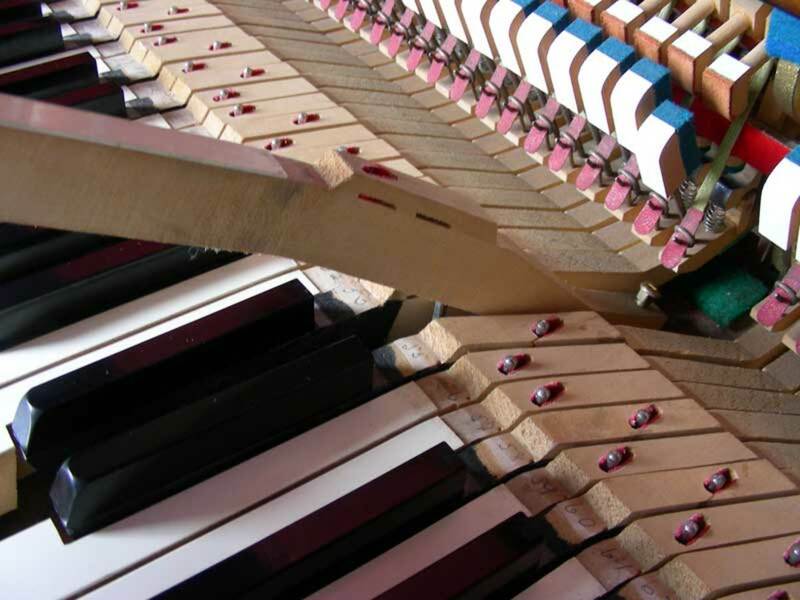 Most upright pianos will have this part in 2 separate pieces, the upper one covering the mechanism, and the lower one covering the keys. No.3 is the bottom cover, which protects the pedal mechanisms and also gives access to the lower part of the soundboard. The top cover usually has a pin to hold it open during playing. The top cover is made to be used open during piano playing to let the sound escape and resonate within the room. There is a small pin either in the middle or on one side, to hold it half open. It opens by pulling it up on a hinged door mechanism. 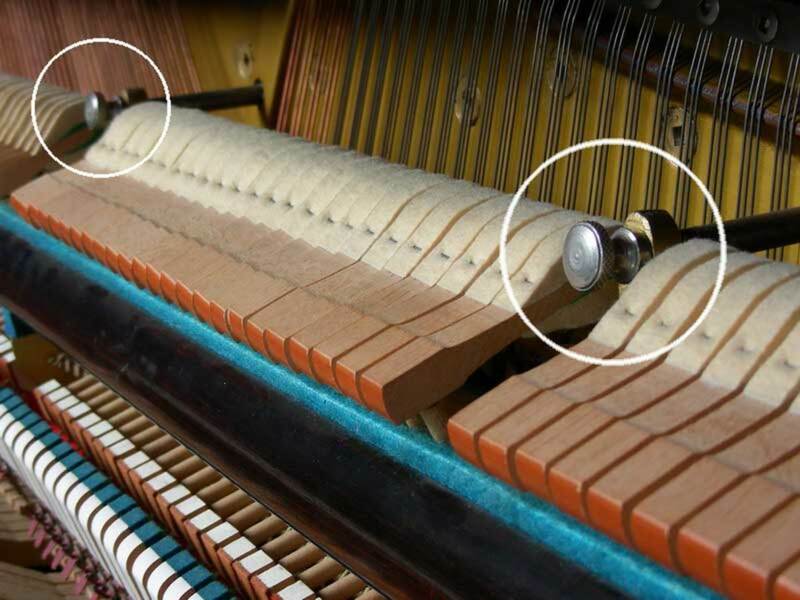 In a studio piano, the cover flanges backwards. 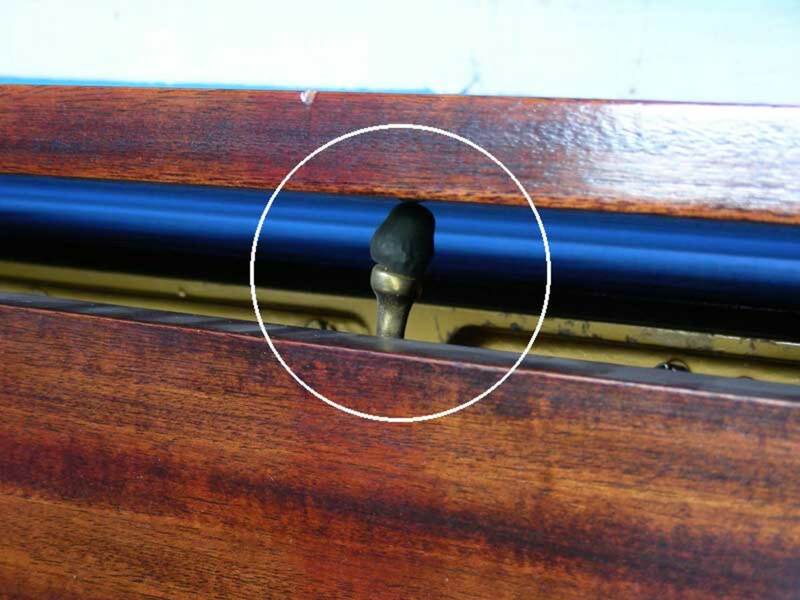 For studio pianos, the upper part of the front cover (No.2a) usually flips backwards for quick access to the hammer action mechanism. 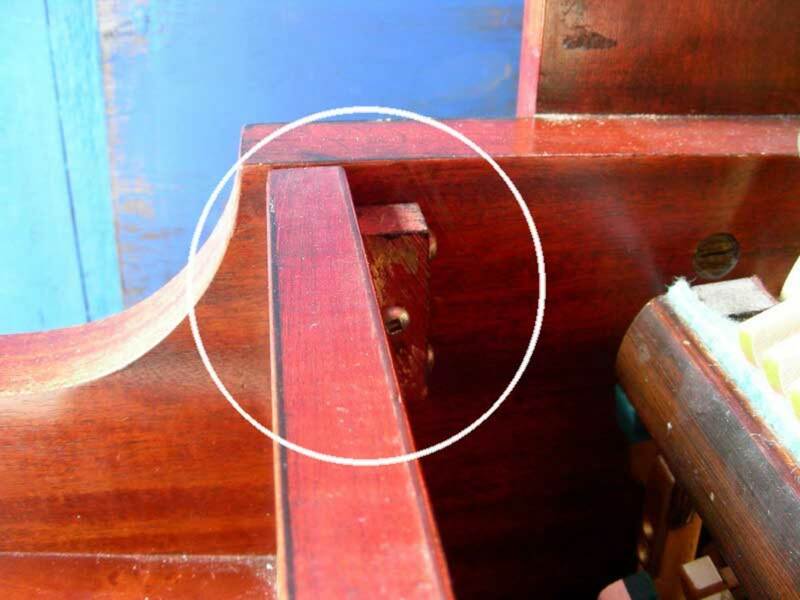 In taller upright pianos, this part may not be fixed by screws and might be completely removed. 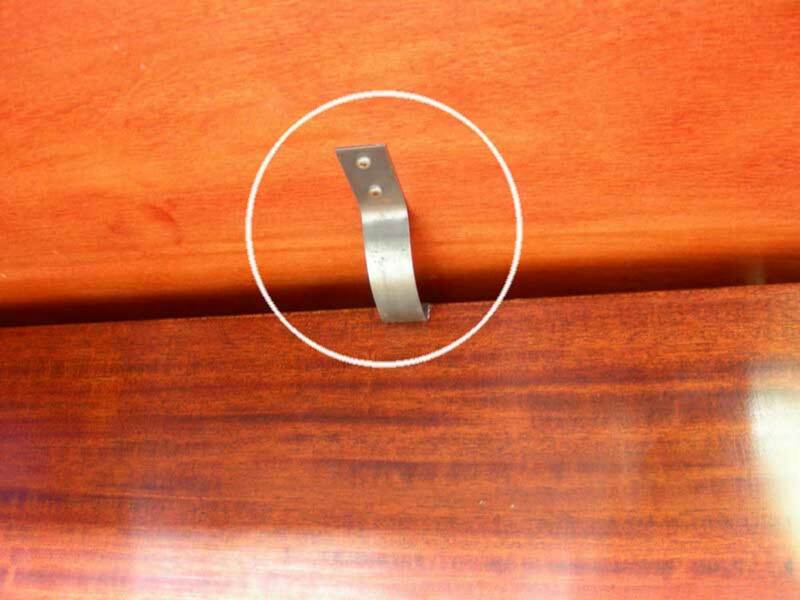 Please notice that, in order to tune the piano, you will need access to the tuning pins, and this part will have to be removed completely before attempting the tuning procedure. 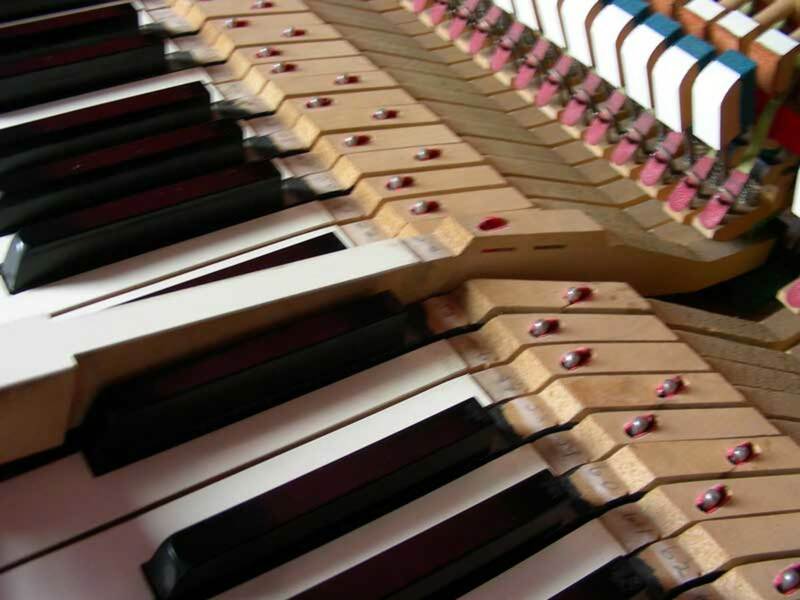 The lower part of the front cover (No.2b) may be fixed with screws or it may lie freely on the keys, serving as a key cover to protect the keys from damage. If it is fixed with screws, use the appropriate screwdriver tip and remove the cover by unwinding the screws in a counterclockwise direction. 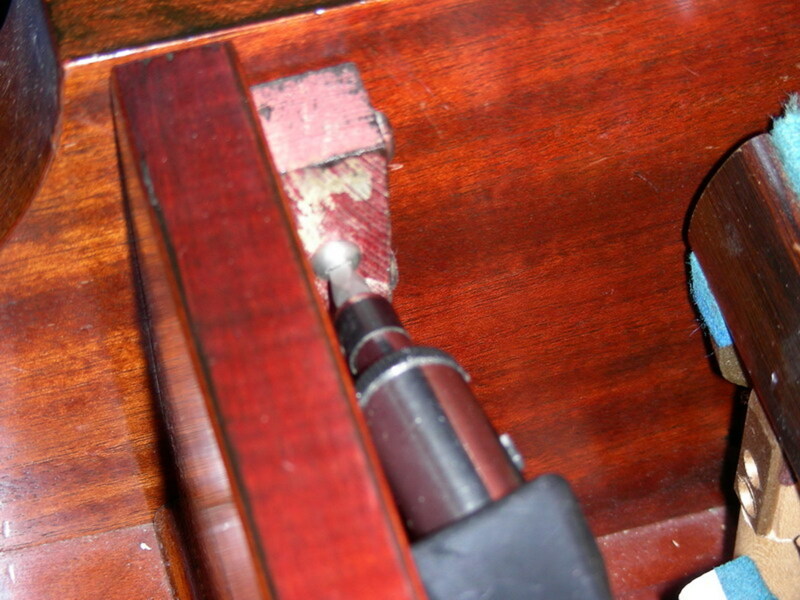 Once the front cover (No.2 a & b) is removed, you will have complete access to the hammer action mechanism and the strings for repair or tuning. Check the images below. The lower part of the front cover may be fixed with screws. Use an appropriate screw driver to remove the cover. 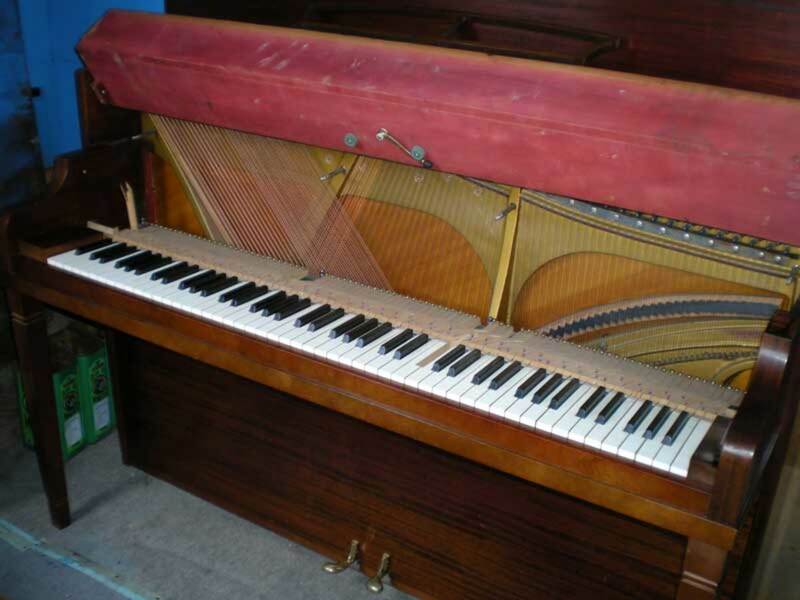 The bottom cover is usually held in place by a metal bar in the middle of the piano. Just push it upwards and gently pull the cover towards you. 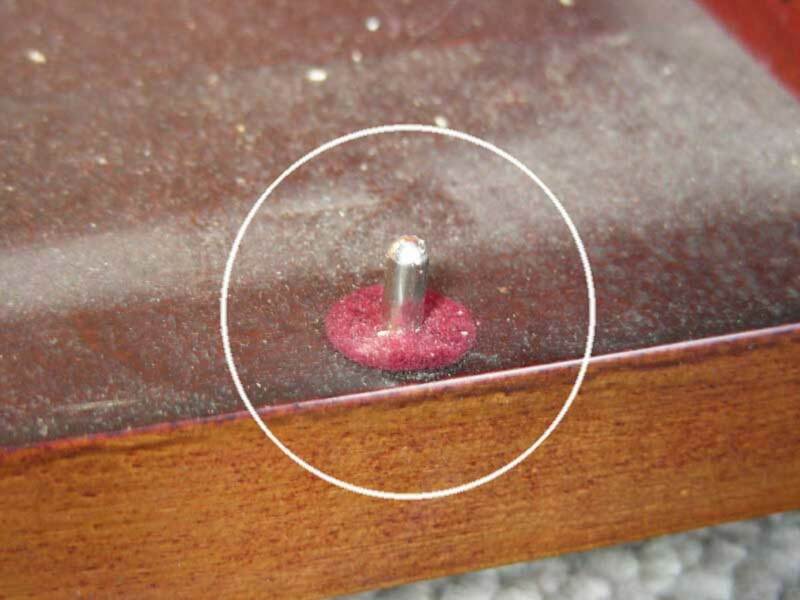 It should have 2-3 pins on the piano that hold the cover aligned to the instrument, be careful not to bend these pins, or force the holes on the bottom side of the cover. These pins act as guides to facilitate reinstalling, when you will want to put it back in place. Push this metal bar upwards and gently pull the cover outwards. These pins hold the bottom cover in place. Removing all the covers gives access to the hammer action, pedals and strings. The following pictures is a brief walkthrough. 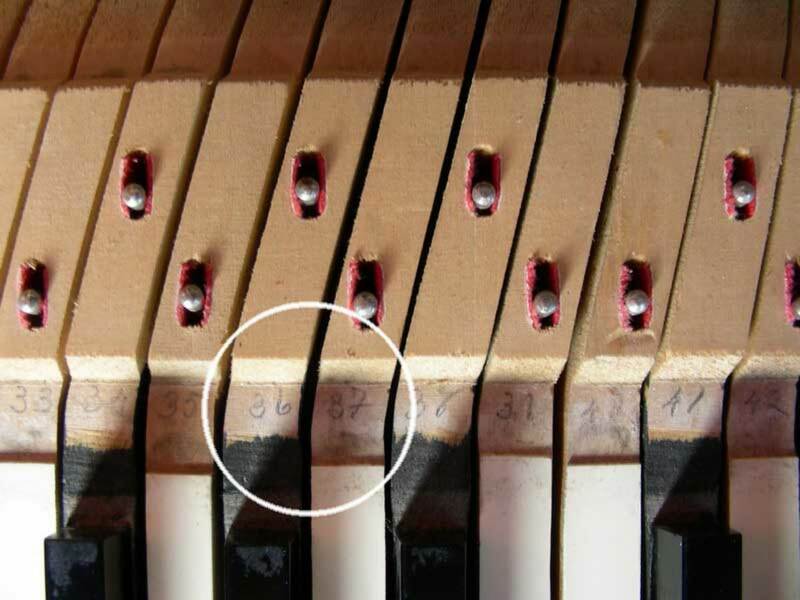 Notice that the keys rest on balancing (taller) and guiding (shorter) pins. Do not bend these pins in anyway, or the key might be stuck and become non functional. Also make sure that, all the keys are numbered from the left end to the right, this will prevent confusing the places of keys with one another! Use your finger to lift the hammer to let the key move freely. Balancing pin (back) and the smaller guide pin (front). Be sure that your keys are numbered. Remember, every key is made to fit only one place. 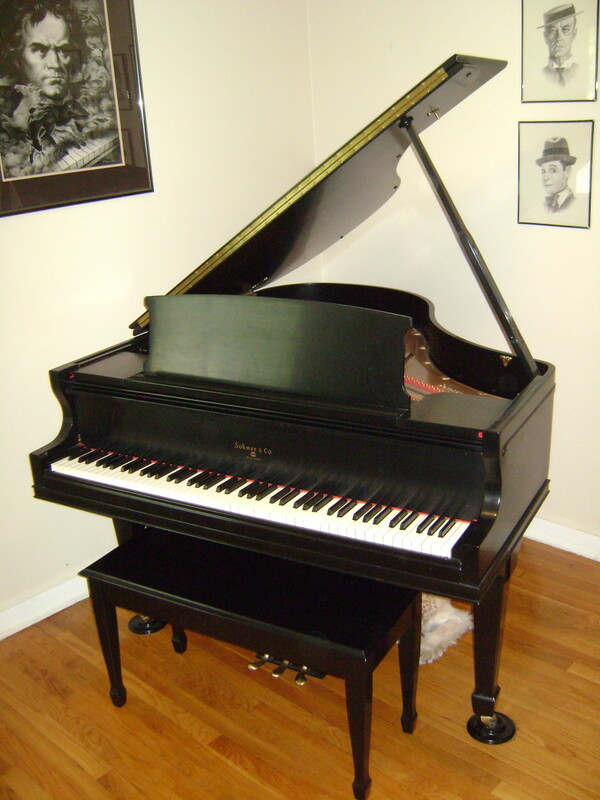 In a contemporary upright piano, there are either 2 or 3 pedals. On the left is the soft pedal and on the right the sustain (damper) pedal. In some pianos, there is a 3rd pedal in the middle, called the practice pedal. This pedal drops a piece of felt between the hammers and strings, thereby reducing the overall sound of the instrument, and it is used to practice otherwise boring mechanical study pieces. In the absence of this practice pedal, one can place thins towels between the hammers and the strings, by opening the top cover and making sure that the towels do not obstruct the mechanism. 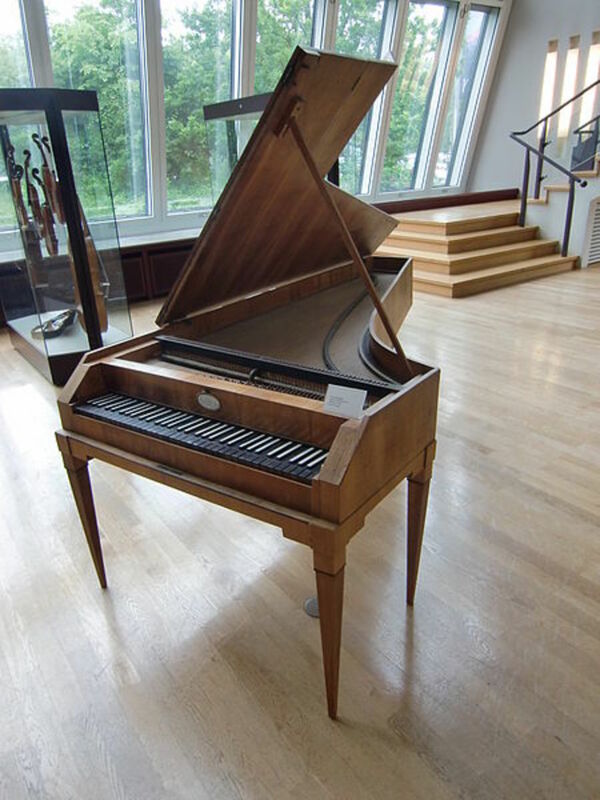 Note that although all pianos have pedals, the logic and functioning of the pedals in a grand or baby grand piano are somewhat different. 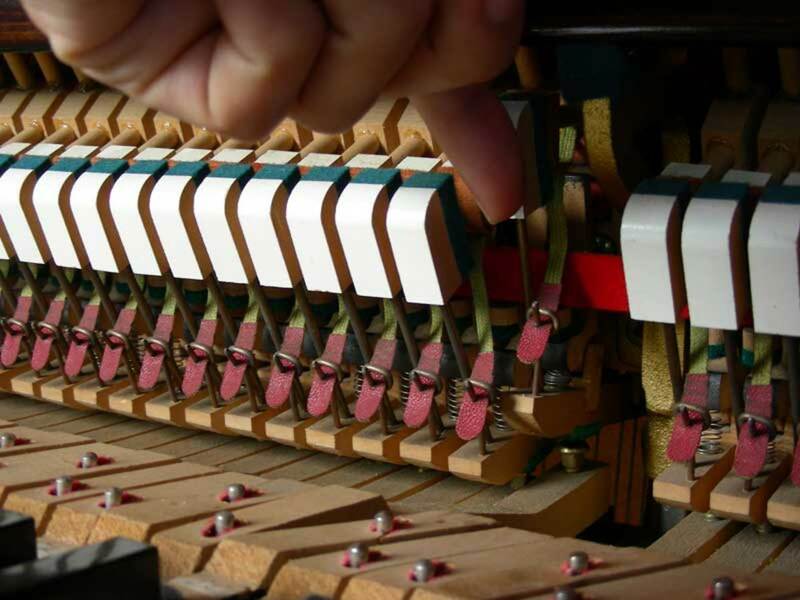 Although a casual piano player will not need to remove the hammer action mechanism, there is no other choice if one needs to do repairs on the mechanism itself, or to change the strings with ease. Removing the covers will suffice to have access to the mechanisms, to examine and troubleshoot possible problems. It is also a good idea to clean the dust from the inside whenever you open the covers. 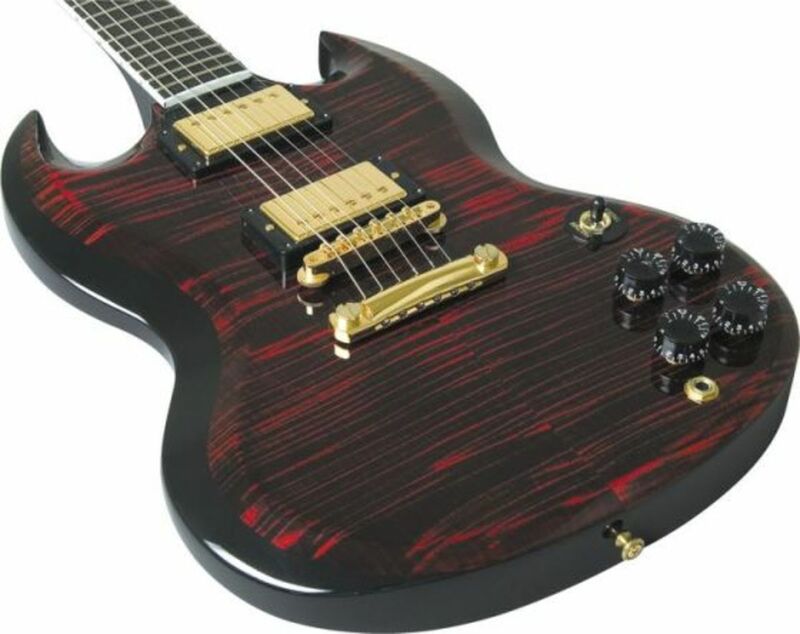 At this stage, you can examine the hammer action mechanism but in order to change strings or repair the mechanism itself, you need to take out the mechanism as well. 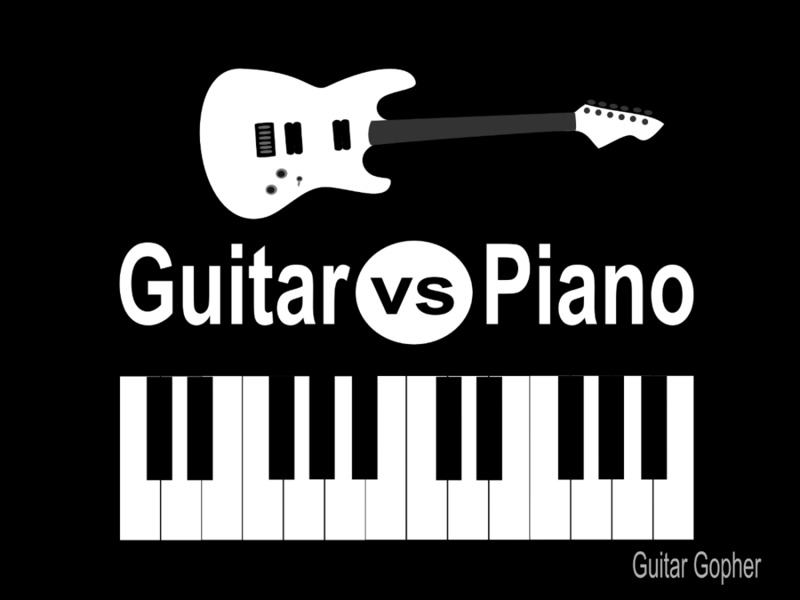 Remember that the subtlety of the piano as an instrument depends much on the hammer action, and they are perfected by each manufacturer to insure a smooth and even feeling on the keyboard. 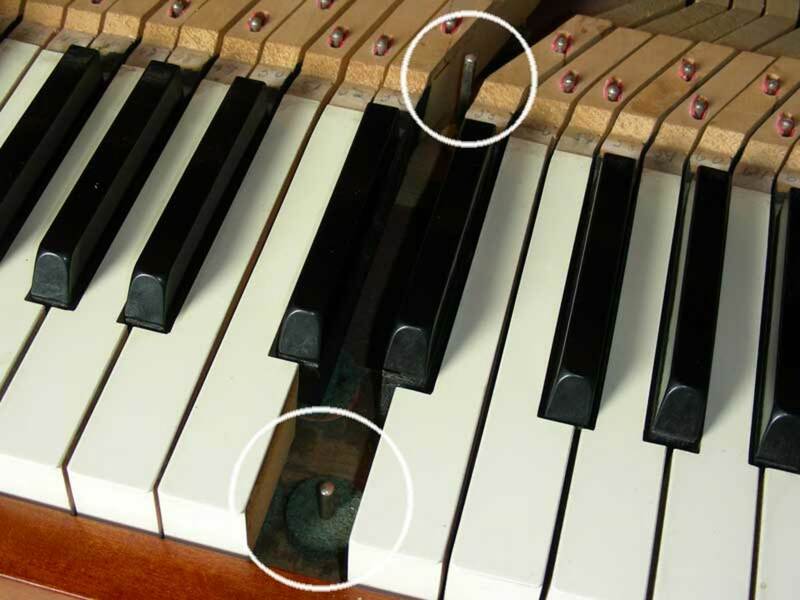 As the mechanism presses heavily on the felt cushion in between the mechanism and the keys, a small misalignment may cause problems on the keyboard. Although it should be attempted by a professional, here is how remove the mechanism. The mechanism is fixed on the iron board with 4 screws. You do not need any special tools to remove this, just turn them counterclockwise with your fingers. You will need to administer some force to pull the mechanism, as it is finely secured to the iron board. Try not to touch the mechanism apart from its iron chassis. The mechanism is very delicate and finely adjusted, therefore you should not use too much force or pressure, as this may bend or break fragile pieces, which may ruin your experience and necessitate to call a professional repairman. 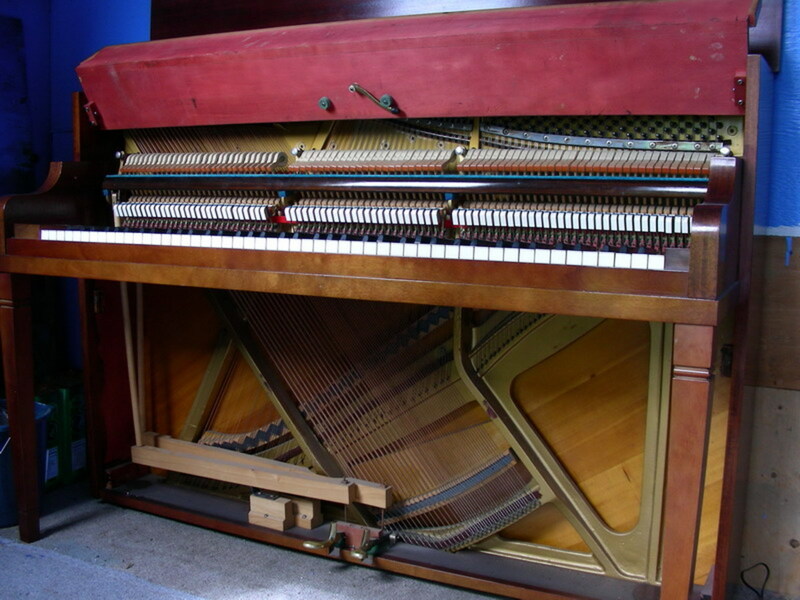 After removing, lay the the mechanism on a solid place to rest, preferably on its original orientation, meaning hammers standing vertical as it was in the piano. There are 4 screws that hold the mechanism in place. Now you have full access to the upper part of the piano. 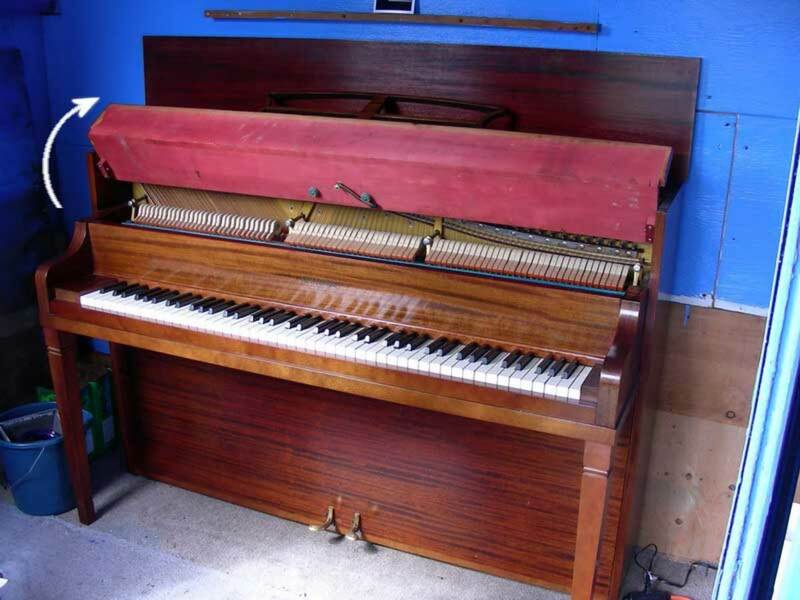 Being able to remove the covers of the piano (but NOT the mechanism), will enable to examine the internal structure of the instrument, and will prove valuable when you want to buy a used piano. It also lets the sound resonate freely and move in every direction in a room, thereby augmenting the overall volume of the instrument. Enjoy! Was given a 1961 Hobart M. Gable upright with 5 stuck keys. Your article was very helpful. Found a spent shotgun shell under the keys. Thanks to your instructions it took about 20 minutes to repair! This is really useful. I am always sniffing around looking at second hand pianos for friends, and most people have no idea how to get n to have a proper look at what the are buying.